The following has been adapted from a presentation given at HR Redefined 2018. In a world where many countries, including the United States, are toughening their immigration laws, HR and recruiting teams have to stay on their toes to keep compliant. New policy memos and an uptick in enforcement have made it more difficult than ever to hire international talent. Below we’ll discuss the major trends and changes in labor-related immigration law under President Trump. An important aspect of U.S. immigration compliance that has increasingly come up is the issue of business visitors. Foreign nationals may be granted permission to enter the country for business visits for up to six months if they have a “B-1” visa. 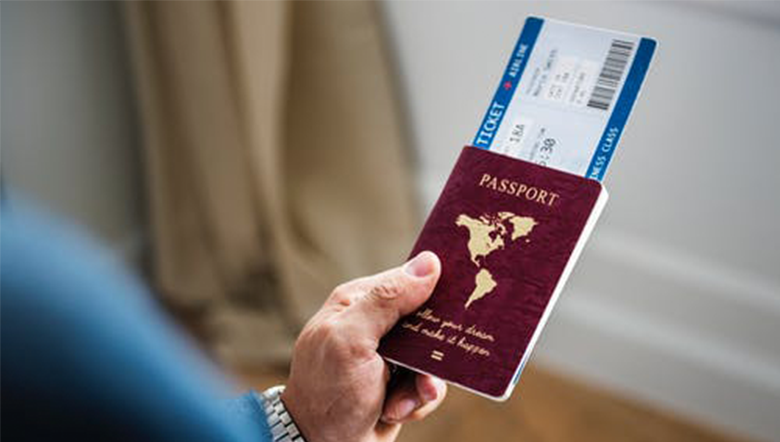 If they carry a passport from one of the 38 countries that participate in the Visa Waiver Program, they can also enter as a business visitor visa-free for up to 90 days. In virtually all cases, a business visitor is someone who is employed abroad and will remain on foreign payroll. Business visitors may not perform labor or services in the U.S. It’s important that organizations take steps to identify planned travel in advance so that someone in the organization can review the intended U.S. activities and ensure that a work permit is not needed. Crucially, many are wrongly under the impression that the length of a U.S. trip determines whether a work permit is required. While a very short trip may reduce the likelihood that border officers will raise issues upon entry, it is the nature of the planned activities and not the intended length of stay that dictates whether or not entering as a business visitor is appropriate. To help mitigate risk, companies may wish to require all employees to use a central travel agency to book tickets and have them provide reports to HR for review. There are also online tools available that allow travelers to input data about the nature of their travel and then determine whether a business visa or work permit is required. Since President Trump took office, no major piece of immigration legislation has been passed. Over the past decade, many in Congress have attempted to pass comprehensive immigration reform. Each effort has died on the vine. Immigration is a politically dicey issue, and getting everyone to agree (or even compromise) has proven challenging. Given this, we’ve seen a series of sub-regulatory measures aimed at curtailing what the president believes are abuses of our current business immigration system. These efforts have come in the form of policy memos, which impact enforcement actions. Among these efforts, the seminal directive on business immigration has been the Buy American Hire American Executive Order (BAHA). The order directs immigration agencies to “ensure that H-1B visas are awarded to the most skilled or highest paid petition beneficiaries.” Since BAHA was issued, U.S. Citizenship and Immigration Services (USCIS) has issued three policy memos directing staff to take a more restrictive approach in processing requests from employers seeking H-1B work permits. The first and most far-reaching of these memos was issued on March 31, 2017, the eve of the annual H-1B filing season. That year, U.S. employers filed nearly 200,000 petitions for 85,000 new H-1B visas. The so-called “computer programmer” memo instructed USCIS adjudicators to carefully scrutinize H-1B petitions filed for computer programmers because the agency no longer deemed these jobs to require a bachelor’s degree or equivalent in a particular course of study, which is a fundamental requirement of the H-1B program. As a result, USCIS challenges employers to prove that the particular job being offered to an H-1B candidate is so complex or unique that only those with a related degree or equivalent would be capable of performing the job. In many cases, when employers provide this additional evidence, USCIS is quick to discount it. If the sponsored role is for an entry-level position being offered to a recent college graduate, for example, the USCIS might take the position that it isn’t complex enough to merit an H-1B visa. USCIS issued a second memo in October 2017, known as the “deference” memo. It withdrew prior guidance that the agency could treat employees’ extension requests with deference if the application was for a previously approved individual and role. Instead, the memo encourages adjudicators to review each case anew and not to feel constrained from asking for additional evidence to demonstrate eligibility. Like the computer programmer memo, the difference memo has led to a large increase in challenges and even denials of cases that were previously approved. This has left many businesses and employees uncertain about their ability sustain projects with international talent. The recent “third party worksite” memo was issued by USCIS last February, and takes aim at employers with H-1B workers who work at client or customer sites. With the memo, the USCIS has started to request various forms of evidence including proprietary contracts and statements of work demonstrating the relationship between the H-1B petitioner and its customer. Troublingly, they’ve also requested letters from customers confirming the job description and minimum educational requirements associated with the job. A federal lawsuit has already been filed against this change. In addition to the restrictive memos described above, another arrow in the government’s quiver is enforcement. In October 2017, an Immigration and Customs Enforcement (ICE) official announced that the agency plans to quadruple enforcement, meaning employers must prepare for an increase in Form I-9 and E-Verify investigations. To the extent employers are unsure of whether their I-9 programs are fully compliant, now is the time to review those programs and consider conducting an internal audit. Another area of immigration compliance employers should focus on are Department of Labor (DOL) wage and hour audits of H-1B/LCA programs. Businesses should review their internal wage scales to ensure that H-1B workers are compensated based on the same criteria as all other similar employees. This is an important time for employers to focus on immigration compliance. None of the challenges described above are insurmountable, but sponsoring foreign talent and remaining compliant will require employers to take a thoughtful, proactive, and strategic approach to their immigration programs. The content of this publication is provided for informational purposes only and does not contain or constitute legal advice. 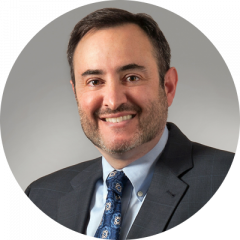 Andrew is the managing partner at Fragomen, a global firm exclusively devoted to immigration law. Andrew advises U.S. and global organizations across all industries on immigration and nationality law, regulation, policy, and compliance. Connect with Andrew on LinkedIn.